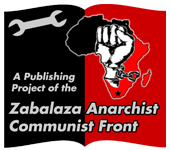 This article speaks on the failures of the anarchist movement to grow, despite numerous social movements, and how models of anarchist political organisation point the way forward to overcome these pitfalls. Two recent events have thrown critical challenges at the anarchist movement in the United States: the financial crisis that began in 2008 and the Occupy Wall Street (OWS) movement that sprung from that crisis in 2011. If the current political and economic outlook in this country is any indication, we should expect more frequent moments like these to arise. “Movement Moments” such as these are critical opportunities for revolutionaries of any variety, left or right. Acceptance of the status quo seems impossible. This piece originally appeared in Perspectives on Anarchist Theory, No. 27 (2014) published by the Institute for Anarchist Studies.